Vision Zero Santa Barbara is a road safety policy that aims to reduce traffic fatalities and major injuries for pedestrians, bicyclists and motorists–all road users–down to zero. Anything more is unacceptable! This is achieved through a combination of better road infrastructure engineering, public education, and enforcement of traffic laws. 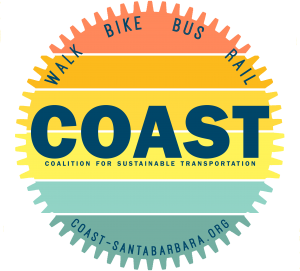 With our partners at SBBIKE, COAST has championed the Vision Zero movement for the South Coast, driving the City of Santa Barbara to adopt a formal Vision Zero Policy (Dec, 2017) and Strategy (Sep, 2018), and the City of Goleta to approve funding for a Vision Zero implementation study. 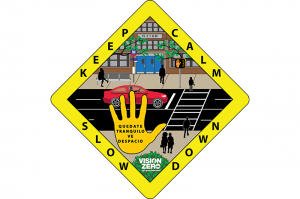 Vision Zero brings together organizations, policy-makers, businesses and concerned citizens under the common goal of improving traffic safety for all who drive, walk or bike. According to NHTSA data, 37,133 lives were lost on U.S. roads in 2017. 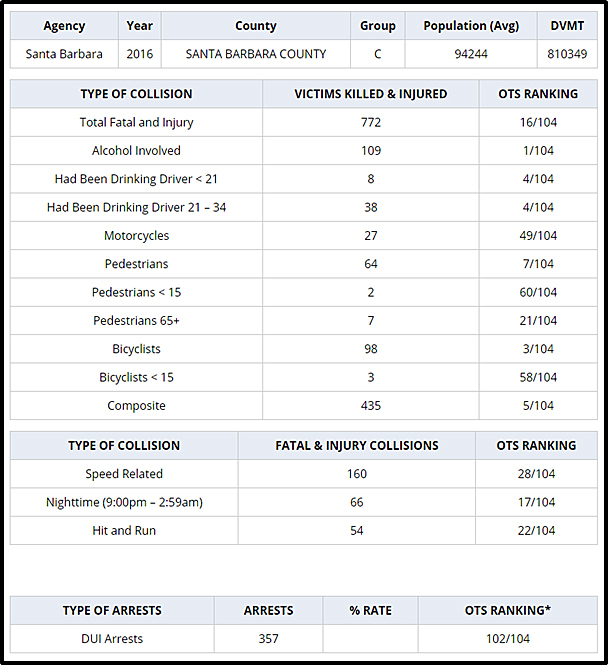 Our own city of Santa Barbara has a serious traffic safety problem: Compared to California cities of similar size, we rank 3rd for bicyclist collisions, 7th for pedestrian collisions and 1st for alcohol-involved deaths & injuries! Over the last ten years, more than 60% of traffic fatalities were pedestrians and bicyclists. This must end! Major cities nationwide like New York, San Francisco, San Diego and Los Angeles have adopted compelling Vision Zero policies. COAST and our partners are working with our local municipalities to enact Vision Zero policies and a mindset of safety as paramount priority throughout the South Coast. We’re excited to see the City of S.B. already implementing its Vision Zero Core Principals into street infrastructure projects in 2019! E-Mail us if you would like to get involved in our advocacy efforts. Join us! Attend our monthly Advocacy Meetings. Let’s make our streets safer for walkers, bikers and drivers of all ages and abilities!